Yay! Hello! Welcome to the Panier-Along! 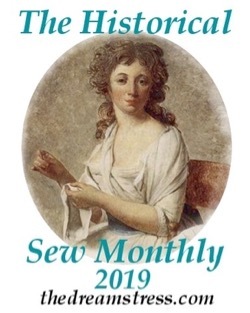 Over the next two weeks I’ll be walking you through making 1770sish paniers. To start with, check out the Materials List. 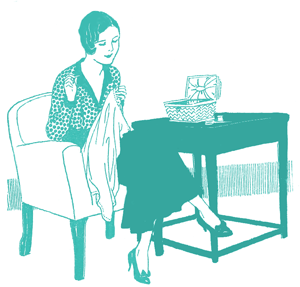 Now that you have all your materials sorted, let’s get the pattern figured out, and your fabric cut. I’m using a lovely heavyweight linen in a sort of pinky-terracotta that was in my stash. 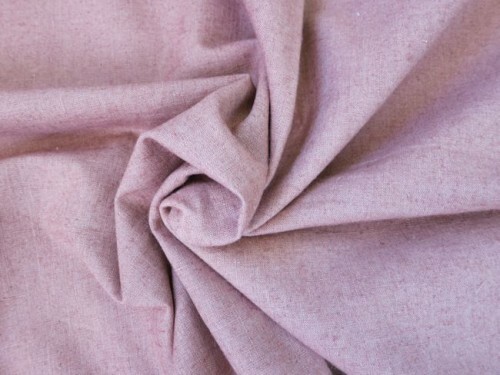 It’s got some light fading, but is really ideal in terms of weight and the tightness of the weave: it will support the boning well without being too thick to pleat. I know I said I’d be machine sewing, but linen is such a pleasure to hand-sew that I have changed my mind, and will be hand sewing it. 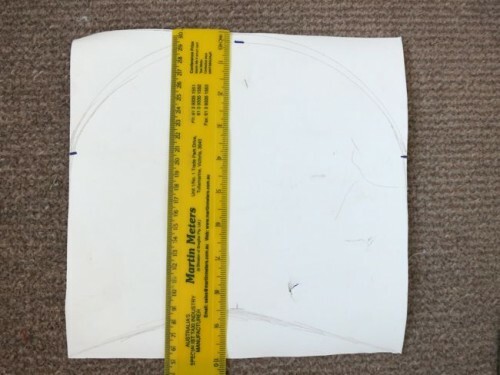 Start with a 10″ pattern piece. Measure up 6″ from the bottom left corner and make a mark. 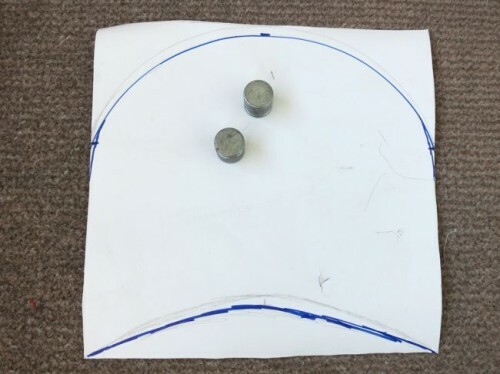 Measure up 6″ from the corresponding corner, and make another mark on the right side. Then measure down 1/4″ from the centre top, and make a mark. 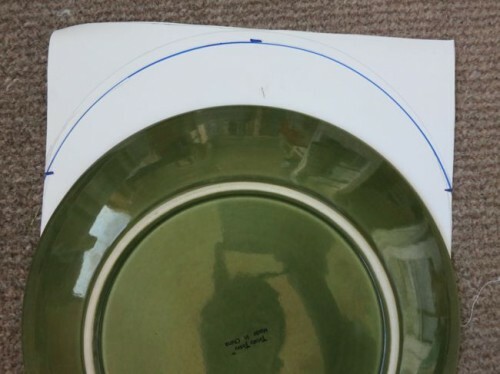 Now, using a large plate (10 1/2″ across) draw a curve that connects the three points. That curve will be the outside curve of your panier. You may wish to smooth down the edges where the curve meets the square so the transition is a little smoother. 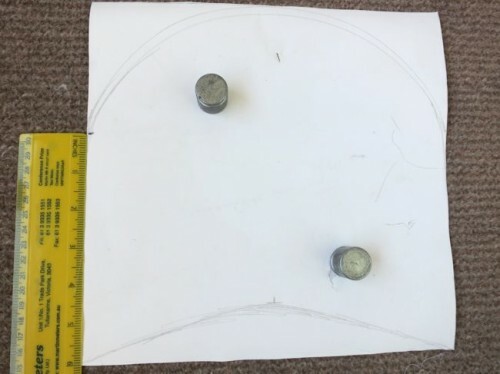 Measure along the curve from the bottom left point to the bottom right point, just to make sure it is the right length around. It should be 25″ along the whole curve, just like your panier side piece. Now, measure up 1 1/2″ from the centre bottom of the square. Sketch a curve from the bottom left corner up to the point, and down to the bottom right corner. This curve will fit around your hips, helping the paniers to stay closer to your body. 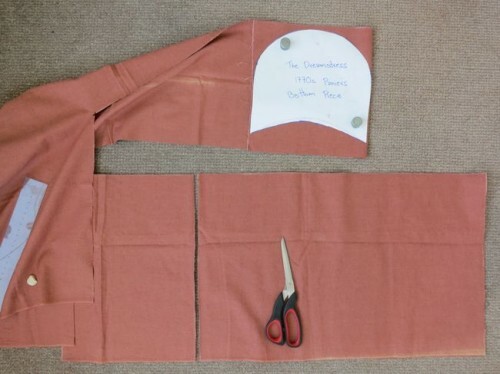 Now, cut out your pattern piece and label it so you know what it is. OK, hard part done! Now you can cut out all your fabrics. 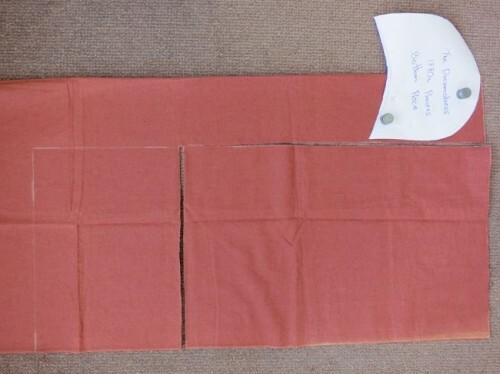 First, cut your side pieces, the piece that will have the boning inserted along it, two 25″ x 16″ rectangles. Then cut your bottom piece. I did this by unfolding my lengthwise fabric fold, and refolding it horizontally, so it fits two curved bottom pieces. How easy was that? Tomorrow I’ll show you how to cut and finish the slit for your pockets (this is an optional step), and the day after that how to measure and sew the boning channels. You have left us hanging off a cliff!!! Can’t wait for more! I know! I have to balance keeping ahead, and not putting too much info/photos in one post. 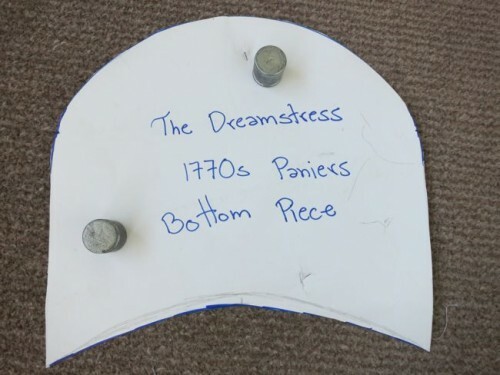 Will the given measurements work for bigger-hipped women or should I add an inch or two to make the panniers more in proportion to my body? Adi, in my experience these work well for most sizes. At the most I would add an extra inch to width of the three main pieces. If you have bigger hips you already have an advantage in the body shape you are trying to achieve, so too much more can make them look cartoon-ish. I’m a size 18, and I felt I needed to adjust the size of the paniers to be more proportionate to my figure. I’ve made these before, straight out of Corsets and Crinolines, and they were perfect for my friend’s daughter who is a size 2. On my body, they looked… sort of wimpy. If you are interested, here is how I changed the pattern. I made the base piece 11″ wide by 13″ tall, then shaped the curves accordingly. When I measured around it, I discovered it was 31″, so the panier outside piece is now 16″ tall by 31″ wide. 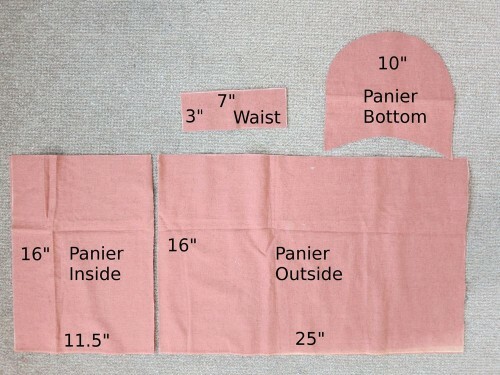 I also double-checked the bottom curve of the panier base, it measured 11.5″, so I made my panier inside piece 16″ x 12″. I imagine it will all sew up pretty similar. Thanks Hannah – it’s very helpful to get another perspective. I must ask which size 18 you mean, since a true size 18 is still pretty small (and, for that matter, I’m a size 20 in all my ’30s patterns). I’ve actually used the Tidens Toj pattern as a reference far more than the C&C pair since I couldn’t find it at the time, and only had my notes to base it off. I meant an American dress size 18, as opposed to a pattern size 18. For reference, here are my measurements: 50″ bust, 40″ waist, 48″ hips. I had assumed you were basing your pattern more on the Corsets and Crinolines pattern, as the dimensions seem to be exactly the same! I have close to the same body measurements, and that info will be extremely helpful for me! I imagine you also needed more boning, since the panniers are bigger? Do you remember how much you used? I’m so thrilled you’re doing this. I had already decided to make pocket hoops for my sister-in-law, Lynn, for this challenge. Sending a song your way. “You make me so very happy. 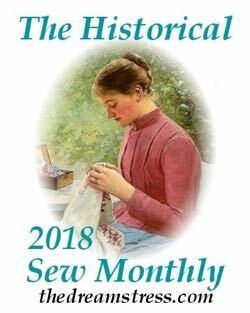 I’m so glad you came into my life.” The Historical Sew Fortnightly is really getting me back on track with all the sewing my brother needs me to handle for him and he sends his thanks along to you. Oh, thank you! 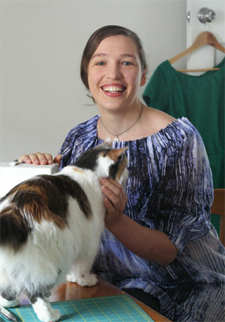 That’s such a lovely compliment, and I’m glad this is encouraging you to sew! 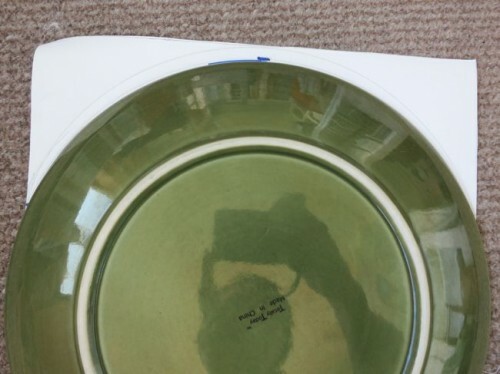 I have an 11″ dinner plate and half of the circumference is no where near 25″. Is there something I am missing? I just can’t figure out how to get a 25″ curved line on my 10×10 pattern. Any help is appreciated! Sorry, I worried that would cause confusion and couldn’t figure out how to make it clearer. 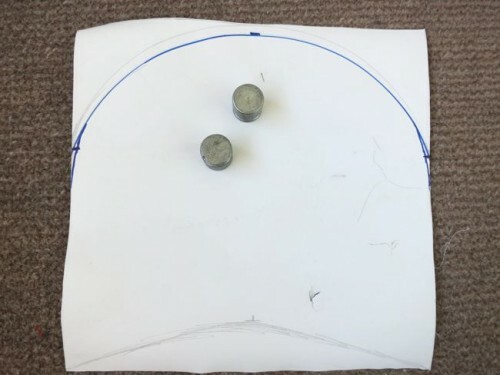 You are measuring from the VERY bottom left corner, up the straight edge, turn and measure along the curve, and back down the right straight edge to the VERY bottom left corner. I’ll put up a diagram.